In 2004, Jack Balkin referred to the Internet as a “democratizing force”. This expression is emblematic of the original optimism with which many scholars welcomed the unprecedented developments of digital technologies. Some of the literature embraced the belief that the new technological context could foster democracy by enhancing equality and participation through a capillary redistribution of communicative capacities. There was a democratic promise embedded in the idea of the Internet, and many works produced at that time celebrated a series of new possibilities of achieving more transparency, accountability and participation at all levels of decision-making. Almost two decades later, the scenario depicted by the scholarship has changed. Today, the same technologies are blamed for jeopardizing democratic institutions and individual rights. Issues such as fake news, mass surveillance and data breaches are only some examples of the phenomena they facilitate. A different picture emerges in which the originally praised “democratic force” of the Internet irremediably fades. Yet, after the twilight of the initial utopian ideas and the unveiling of the dark side of digital technology, time has come to start investigating the potential to rehabilitate the original idea of the Internet and outline future visions for a democratic digital environment. Current tensions clearly show the necessity to reflect on the path to be taken to enhance this potential in the future. The renewal of the Internet’s original promise now depends on concrete legal and institutional analysis that can inform future public policy with a desirable approach. What can the Internet realistically promise to achieve in the future in terms of democratic development? What have we learned from past outcomes and shortcomings? What could the role of states, private companies and citizens be in shaping democracy in the digital society? How can the law or other kinds of norms help in designing a more democratic digital environment? How should existing institutions evolve in order to guide the democratic development of the Internet? The organisers welcome papers, especially from young scholars, exploring these issues from a normative perspective, though maintaining a realistic view of the next future. Abstracts of no more than 300 words should be submitted to the email address fv4adi@gmail.com by Thursday 31st January 2019, accompanied by a one page bio. The deadline for the final papers (max 10,000 words including footnotes) will be on Friday 31st May 2019. 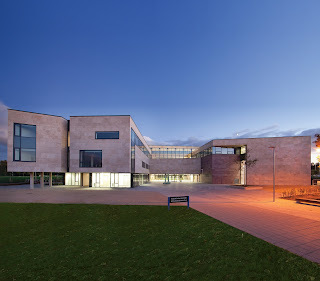 Authors of selected papers will be invited to discuss their work at a symposium which will take place on Thursday 27th June 2019 at the Sutherland School of Law, University College Dublin (Ireland). This event will offer young scholars working on related topics the opportunity to network and meet representatives of tech industries, law firms, government and civil society organisations based in Dublin. Senior academics working in the field will act as discussants. Invited guest speakers include Prof Carlos Affonso Souza (Rio de Janeiro State University), Dr Marguerite Barry (University College Dublin), Dr TJ McIntyre (University College Dublin and Digital Rights Ireland), Prof Sofia Ranchordás (University of Groningen), and Prof Ingolf Pernice (Humboldt University). For more detailed information about publication opportunities see here. For any queries please contact the organisers at fv4adi@gmail.com.